Depart: 11am, Canal Rd, Leichhardt. Bring: Geared bike in good order, suitable clothing, money, water bottle, puncture kit. As with all ARTcycle rides helmets are compulsory, no helmet no ride. Children under 18 must be accompanied by parent or guardian. Arrive early at the GreenWay Hub and get your bike checked over by a trained mechanic from BikeWise, grab an ARTcycle Fender Blender smoothie, then join us on the ARTcycle ride from the GreenWay Hub at the Canal Rd Precinct to Petersham Bowlo. 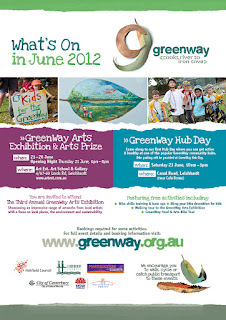 We visit local arts and entertainment stops along the way including Art Est for the GreenWay Prize, Boomalli Gallery for their current show, Articulate to see contemporary art and finish at Petersham Bowlo for barefoot bowls, bistro and refreshments. Register: via the ARTcycle Meetup page, (first time users of MeetUp must register, it's free and only requires name/password), then go to the GreenWay Food and Art Trail and click on RSVP. 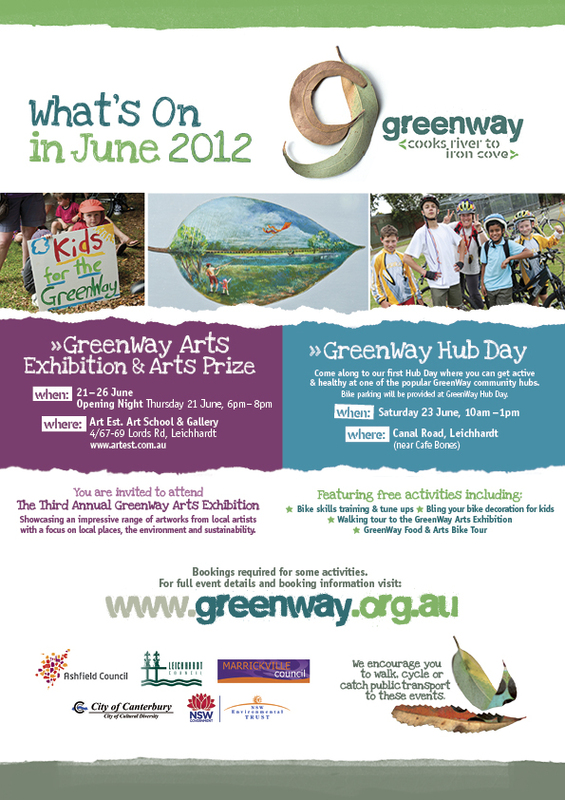 For more information about this and other Cooks River to Iron Cove GreenWay events go to GreenWay website.